Be the first to get into this new construction home in coveted Hollabrook Farm. This three bedroom, two and half bath craftsman style home offers an open floor plan, master on main, and two car garage. Covered front porch offers long range views and the rear covered deck offer a place to relax after a long day. 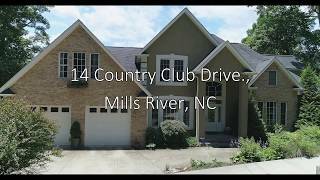 Amenities include clubhouse, pool, picnic shelter, fishing pond, green space, and sidewalks, and after dinner stroll! Directions: From Asheville I 26 to Airport Exit. Right on 280. Left on Butler Bridge Road. Right into Hollabrook Farm. Left on Rockbridge Rd. Follow to home on right.